Full Motion Simulators Now Racing at Eagle Farm! Home News and Updates Full Motion Simulators Now Racing at Eagle Farm! All new! 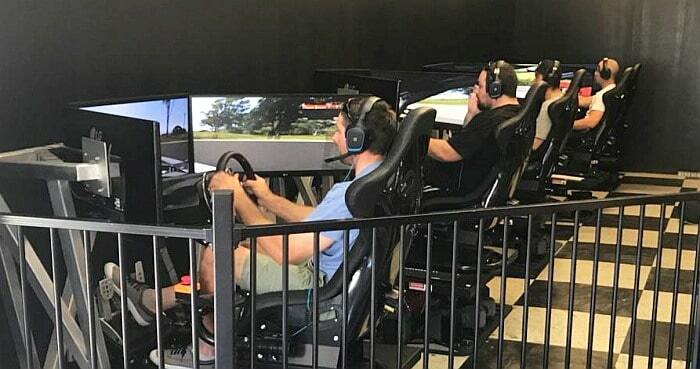 Full Motion Race Car Simulators are now at Slideways Go Karting Brisbane! Six degrees of motion (up/down, backwards/forwards, side-to-side), state of the art simulators – the closest experience you will get to the real thing! 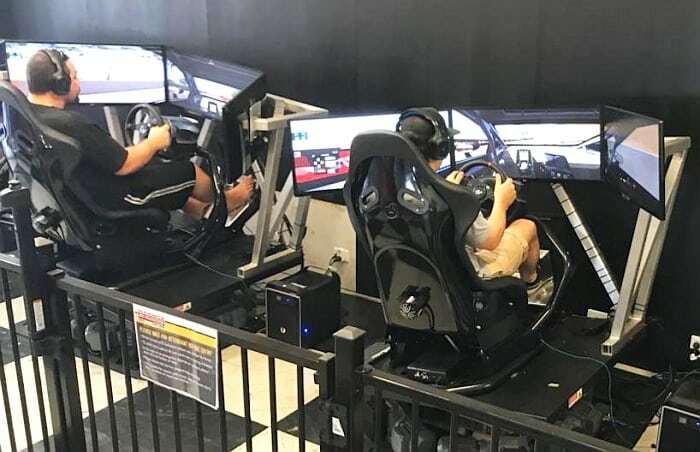 Five simulators – race your mates! Choose from a massive array of race cars – Supercars, touring cars, Formula 1, open wheelers, sports cars, historic race cars, stock cars, you name it! Bookings Essential – call us on (07) 3868 2225! Open 10am – 10pm 7 days a week at 870 Kingsford Smith Drive, Eagle Farm.